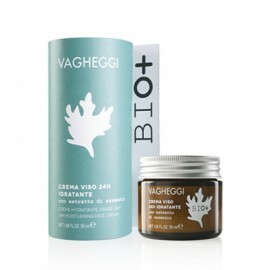 Vagheggi reworks the tradition of natural cosmetics with the most advanced laboratory and analysis technologies, with conception of ‘unique’ products based on scrupulous selection of raw materials based on their geographic origins, concentration of their active ingredients, seasonality and harvesting method (e.g. Lavender from Upper Provence picked in June, White Amazon Clay, Antarctic Mud, the Resurrection Plant from the Central American desert, etc.). This carefully controlled process of study, selection and processing means Vagheggi makes unique “bespoke” cosmetics, each element meticulously studied and chosen to become part of a particular product for a certain need, based on synergy of its active ingredients. In other words, a choice of qualitative excellence that refuses standardisation. Vagheggi decided to be ‘green oriented’ way back in 1975, when this was still not trendy. Research and development of products for the face and body uses elements and properties from the world of nature. 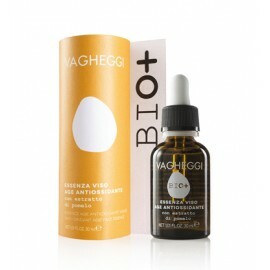 Vagheggi uses more than 300 raw materials of extracts, essential oils, molecules of flowers, plants, roots, algae and minerals. “Cushiony” texture thanks to Cupuaçú butter and passionflower oil, rich in..
Face scrub made from whole cane sugar, butters and precious oils. Usage Apply to face, neck an.. 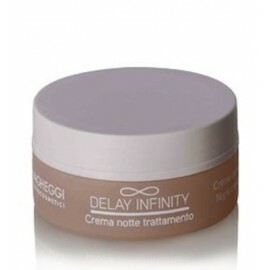 The incredible characteristic of this powder from the sea is that once water is added, it turns into..
Anti-bag, anti-dark shadows, made from extract of Pistacia Lentiscus and fair-trade brown alga. Text.. 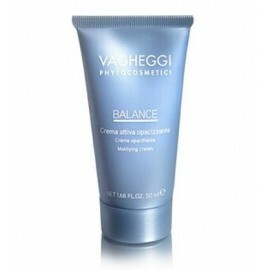 It blends into the skin to renew and remodel facial contours for a fresh, compact effect. The face l.. 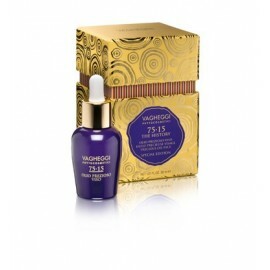 Magical drops to sublimate the performance of 75-15 treatment, for a radiant, relaxed, nourished, yo..
A concentrate of cornflower water and hyaluronic acid to complete facial cleansing. When used .. Developed in line with the latest evidence regarding the genes involved in skin ageing processes, th.. 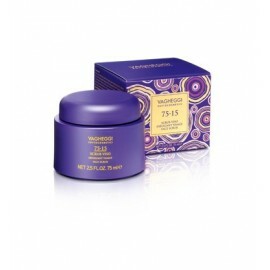 It increases density and evenness for a younger look and restructured, plumper skin. Paradoxical tex..
Sorbet face cream with active cherry water, fresh and quickly absorbed, the skin appears regenerated..
Detoxifying and purifying action. Shea, Illipé and Cupuacu are fabulous butters that mel.. 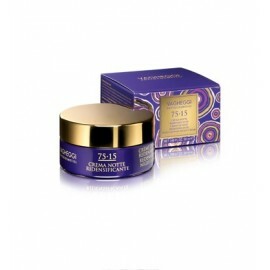 Concentrated blue mineral mask with Corralina Officinalis and Lithothamnium calcareum, marine algae .. Lifting day gel:Tightening gel, ideal for mornings: thanks to the sinergy of Corralina officinalis, ..
Thermoactive slimming body mask. 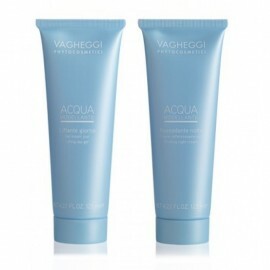 Based on active marine ingredients this product has an intense osmo.. 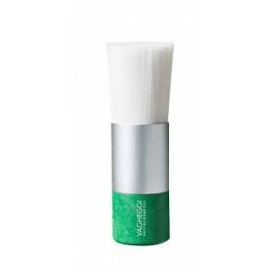 Concentrate with active ingredients extracted from white willow and pineapple to regulate sebum secr..
Use directly on blemishes to dry and reduce visible marks on the skin. 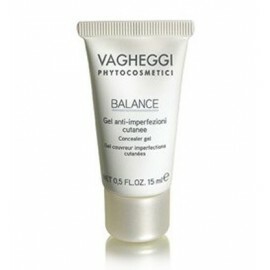 It contains active ingredient..
Foaming cleansing gel, specific for impure, mixed skins and those with imperfections. Powdered extra..
Gel mask with enzymes extracted from Pumpkins to exfoliate and smooth, leaving skin soft and radiant..
Enriched with a sebo-regulating ingredient extracted from Avocado, it is ideal for impure, mixed ski..
Two-phase moisturising and mattifying lotion for impure, mixed skins and those with imperfections. T.. It delivers the sebo-regulating active ingredients (from willow and avocado), helping to purify skin..
Bath & shower gel with extract of the Damask Rose flowers that cleanses, nourishes and..
Nourishing, hydrating body cream with extract of Damask Rose flowers to prevent skin agein..
Bath & shower gel with extract of Passion flowers that leaves the skin energized ..
Nourishing body cream, with extract of Passion flowers, that leaves the skin energized and lumi..
Bath & shower gel with extract of Small-leaved Linden ideal for delicate skins. ..
Nourishing body cream, with lenitive extract of the Small-leaved Linden flowers, for fine, deli.. 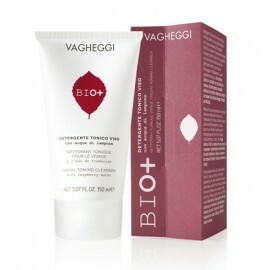 Milk based lipid-rich formula created for gentle skin cleansing while having a shower or bath. 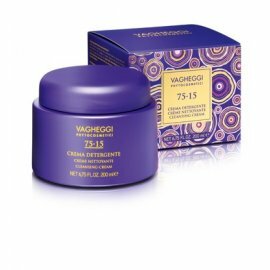 Its c..
Day and night cream with extract of wormwood obtained by respecting all the LCA (Life Cycle Assessme..
Smoothed and renewed by the organically certified extract of pomelo, the skin interacts with light t.. 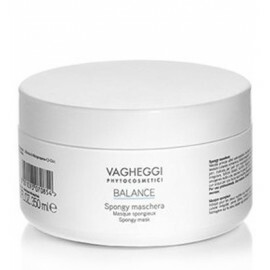 In creating this BIO+ face brush, Vagheggi has taken its inspiration from an antique brush oiling ri.. The fair-trade organic shea butter enriched with 100% natural pink clay, without dye or the use of c.. Completely natural massage oil, rich in omega-3, formulated to facilitate high-tech manual massage m..
A nourishing emulsion that, thanks to a perfect blend of exfoliating powders from the lychee and red.. 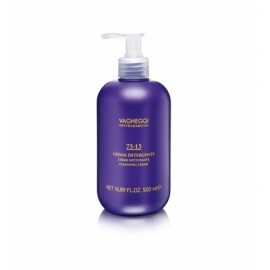 Toning cleanser with a soft, creamy texture, ideal for make-up removal. The Organic raspberry water,.. The most complete formulation of cold-pressed oils and natural butters for the wellbeing of the most..
1 - 24H Hydrating face cream, 50 ml; 2 Face essences 30 ml each (Vagheggi Bio+ Anti-Oxidant Age..
1 - 24H Hydrating face cream, 50 ml; 2 Face essences 30 ml each (Vagheggi Bio+ Nourishing Age F.. 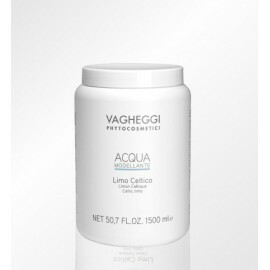 The oligosaccharides in linseeds, obtained using “Cosmos approved” extraction and hydrol..
Dry-feel with fair-trade Aleurites moluccana oil, to nourish and prevent skin ageing. 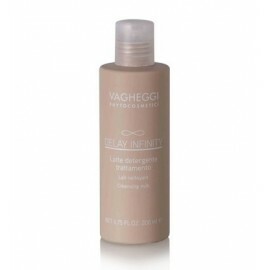 Dedicated to w..
Dry-feel with fair-trade Pongamia glabra oil, to nourish and give more even skin colour. A lively ju..
From Carthamus, a very precious vegetal oil is extracted with hydrating, nourishing, restructu..
A soft emulsion that gently cleanses the skin, leaving it nourished and elastic. 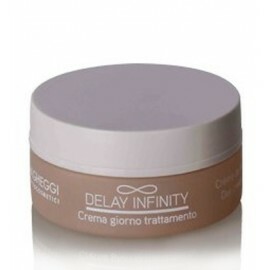 Package 2..
First wrinkles:Protects the skin and delays the appearance of the first signs of aging. 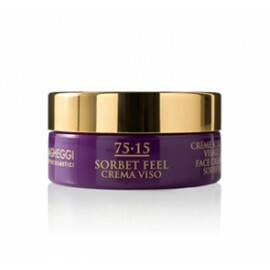 ..
A delicate, highly nourishing, emulsion which prevents the appearance of “crow’s feet&rd.. 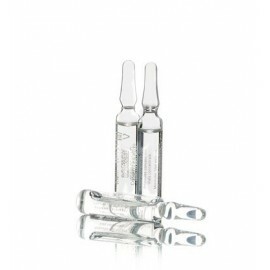 INTENSIVE SERUM.First wrinkles Wonderful concentrate that instantly smoothes out the appearance o..
First wrinkles: Restores facial skin to delay the appearance of early signs of ageing. 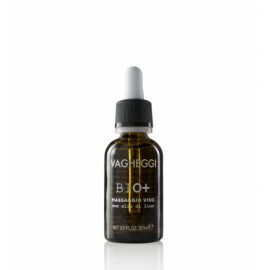 ..
Facial massage A valuable cascade of plant origin oils for a deeply nourishing regenerating facia.. 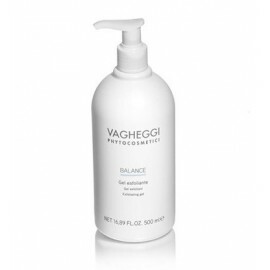 It completes cleansing to leave the skin smooth, moisturised and ready for subsequent treatments. ..